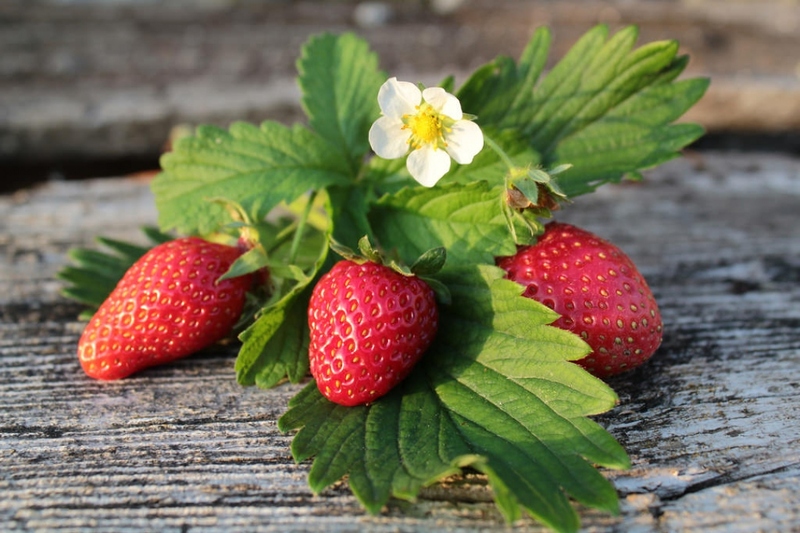 Strawberry 'Mara des bois' (Fragaria ananassa 'Mara des bois'): growing, planting, caring. A cultivar loved for its specific taste of wild strawberry. Mara Des Bois produces small to medium sized fruit, about the size of an acorn with a round, slightly conical shape and deep red color. It is an everbearing type of strawberry, producing an initial plentiful crop in the spring and then subsequent crops at six-week intervals throughout the summer and into the fall - up to 1000 grammes per plant.